A cycle lane is a cycling facility applied on the street destined to create an organised flow for bicycles. 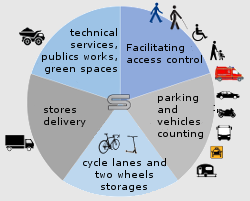 The aim being to separate people travelling on bicycles, either for commuting, sport or touristic reasons, from the motorised vehicle traffic flow, which represents a danger for cyclists. 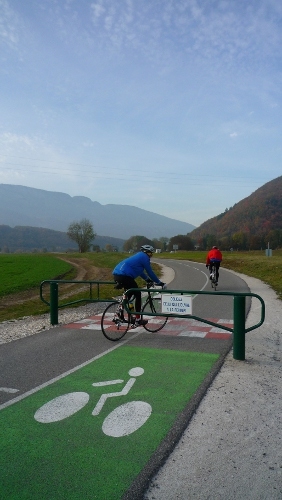 On the assumption that preferred itineraries for cyclists are different to the ones prescribed or recommended for other types of vehicles, the set-up team generally have to include equipments and signage, indicating directions for cyclists and restrictions for other users. 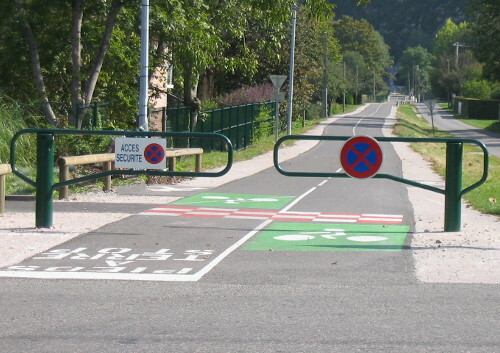 Regarding access to cycle lanes or green lanes, discover our range of bicycle access selective barriers: a model which is perfectly adapted to the passage of bicycles. 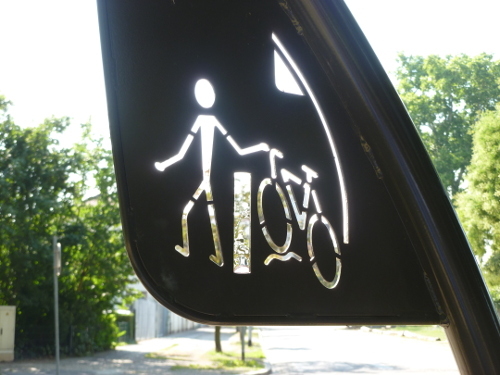 It allows cyclists and/or pedestrians access to places where other vehicles (except maintenance ones) and motorised two-wheelers are forbidden. Regarding the various cycle lane entrances, namely the ones near intersections and road axes, the low swing barriers combine security, signage and comfort for the cyclists’ circulation. Implanted in pairs and diagonally offset from each other, their role is to restrict passage, filtrate users and provide signalling. 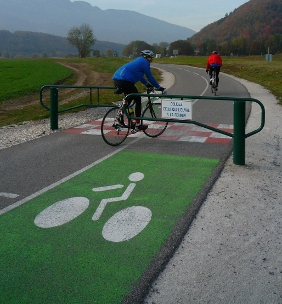 Discover the swing gates with pin especially designed to equip cycle paths, like the “ViaRhona”. Also discover our full range of furnniture for two-whelers. Roadways strictly restricted to bicycle circulation and sometimes to other types of light two-wheelers. Cycle lanes are independent traffic lanes, whether adjacent or separate to/from an open general circulation road. Green lanes are shared between non-motorised users (pedestrians, cyclists, sometimes horse riders). Cyclists can use these lanes without priority on other users and should adapt to their speed.